Kenny was born and raised in Casper, WY, spent a productive (and awesome) five years at the University of Wyoming, and enjoyed short stints in both Colorado and Washington D.C. before returning to the Equality State. 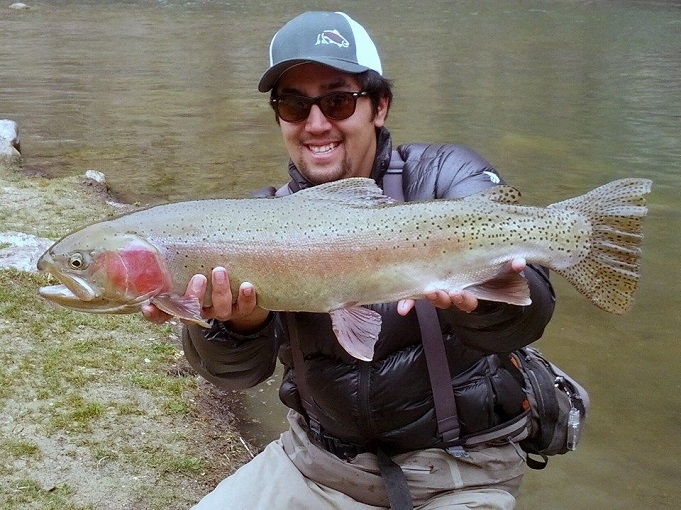 Kenny learned to fly fish as a youngster under the guidance of his father and grandfather, and continues to develop his passion for fly fishing on the beautiful waterways of Wyoming and the west. When he is not guiding (or fishing himself), he enjoys scoring goals for his men’s hockey team and teaching his German Shepherd Odin how to do cool stuff. His passion for fly fishing, patience, willingness to teach, and easy-going attitude will ensure a great day on the water for both novices and the seasoned angler alike.